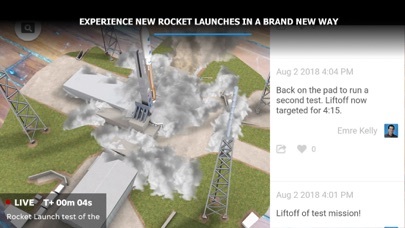 USA TODAY delivers a best-in-class AR hologram rocket launch experience on our new 321 LAUNCH app. Our space experts from Florida Today are your guides through this one-of-a-kind experience. 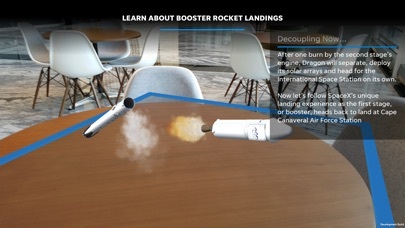 During a live launch, watch an AR rocket liftoff from any flat surface, as an animated hologram shows you what the actual rocket is doing in real-time. 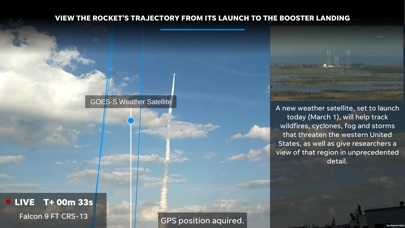 Telemetry data generates a predictive flight-path allowing you to follow the speed, acceleration, and altitude of an active launch live in AR, simply by pointing your phone towards the sky. Tap to live video coverage of the launch and follow live commentary as you watch from anywhere in the world. Also check out our launch simulation as space experts guide you through an interactive rocket assembly, readying the launch-pad, and blasting off towards the exosphere, before separation and re-entry. 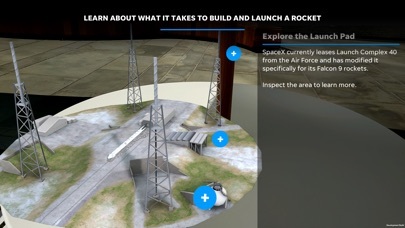 You control a launch mission in this interactive AR experience, and learn what it takes to launch a rocket from Kennedy Space Center. Launch a Falcon 9 rocket now; Atlas V coming soon! Loved learning in he rocket launch feature! I was super excited to have this app but once downloaded the viewable part that would display the AR does not work. The screen says to find a flat surface but all I get is a black screen. My camera works just fine otherwise, so idk what the issue is. Please fix this!! Very nice simulation. 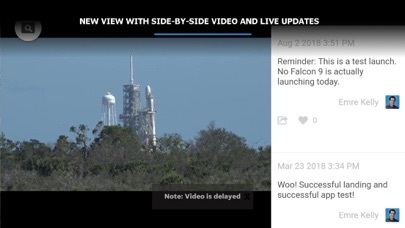 Still waiting similar quality experience for live launch mode. Enjoy the explanations and simulations!!! Hi I have not got a chance to launch cause it won’t work I put it up to a flat area and it won’t work! I found out the problem it’s not asking me to turn on camra!! This is such a cool experience how you can move around with the AR especially in live. 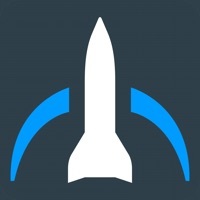 If you haven’t tried augmented reality, download this and follow long as you have a simulated rocket takeoff from your kitchen table or some other flat surface in your home. It’s so nice to know we are doing all this ourselves, KEEP UP THE GOOD WORK NASA. Great simulation and understanding of the sequences of launch and 1st stage return and landing. Amazing app. 5 star, first class production. Informative, educational, enriching, and entertaining. I loved the experience. Thank you! This is really great. We have witnessed launches at Canaveral and see this as a good introduction for our grandsons. Thanks for the show. Can not get simulator to work.. only get blue screen. Checked in settings an app is not asking for access to camera. Hope you can get it working. Simulations in App Store look great. This is a very unique experience to follow a rocket through the re-entry process. Just visited SpaceX about a month ago. So sick! Love the AR App! Force it into grade level curriculum stat! I love this app so much. Wonderful. Really great to be able to watch rocket launches with augmented reality technology. I really like the detailed 3-D models, animations, use of telemetry and the live video feed. Absolutely the coolest. The close up views of the launch and desperation and the booster return are astounding. Whole new perspective on launches. If only this was available when the Space Shuttle was around. Nice app but one question can you get live video from nasa tv? Excellent simulation. Makes one very excited for a visit to Cape Canaveral and the space center! Me and my 4 year old granddaughter saw this take off from the living room floor! WAY COOL! I’ve always wanted to go and watch a launch and now I feel that I can! Really fine app! The only problem was it was about a minute behind true launch time Great info and pre-launch video and second by second narrative! Loved it.